My eyes popped open to see the darkness of my bedroom. Something seemed wrong but I couldn't tell what it was. Glancing at the clock I saw that I had been asleep for a couple of hours. I tried to shrug off the odd sense of uneasiness and return to sleep. I can usually get back to sleep pretty rapidly. Not this time. After a few minutes I suddenly started to feel very hot. Soon I bolted into an upright position with sweat pouring off me. My heart was racing. I felt an overpowering sense of distress and borderline nausea. Was I having a heart attack? Some of these things could definitely be heart attack symptoms. But my chest didn't feel any different than usual. No pains in my arms, neck, or jaw. No problem breathing. I could even breathe deeply just fine. Even with all of this going on, I was able to access a deep spiritual center that whispered that this wasn't a heart attack. Was it some kind of intestinal issue? I hadn't eaten anything unusual. I hadn't overeaten. My tummy wasn't roiling. Although I was sort of queasy, I didn't feel any urge to vomit. Or to purge from the other end. All I knew for certain was that I desperately wanted to get away from whatever was assaulting me. But realizing that the problem was completely internal, I knew there was nowhere to go for escape. It suddenly dawned on me why some people with mental health issues turn to substance abuse. I would have done just about anything to escape this episode. My loving wife fetched a cold washcloth. After using that for awhile, the heat and sweat retreated and I found myself suddenly shivering and shaking. I wanted to get warm, but at the same time I didn't want to get warm or have anything covering me. The varied and conflicting sensations that washed over and coursed through me left me confused as to what I was actually feeling both physically and psychologically. Was this what insanity is like? After holding my wife's hand for 15 minutes or so the immediate desperation receded. Still, I experienced several additional but less intense waves over the next hour or so. Sometimes it would come on just as I was drifting off to sleep and I would suddenly be awake and distressed again. I'm not sure when it all ended, but when Mr. Bladder awakened me a couple of hours later, I was just fine. There was no sign that anything had been wrong. What the heck had happened? 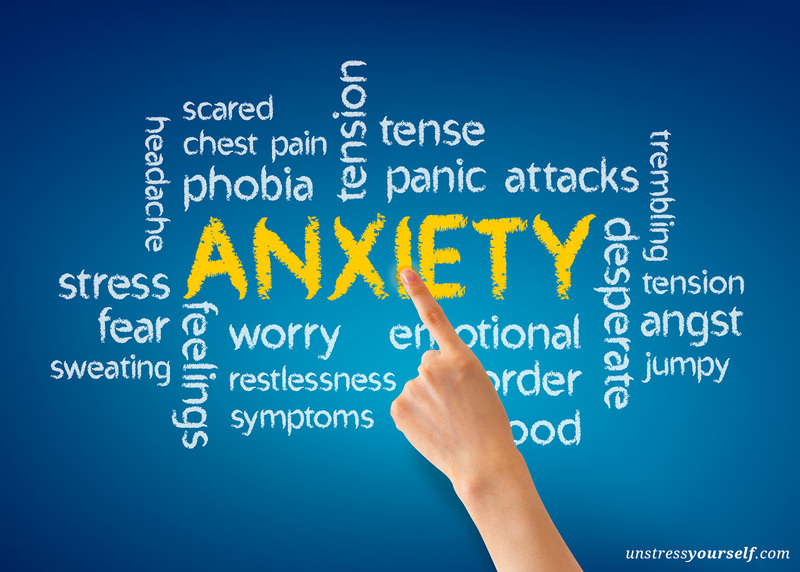 Two of our children are professionally treated for clinical levels of anxiety, so we are somewhat familiar with anxiety disorders. But this was different. There was an immediacy of some kind of threat. But what? I couldn't consciously put my finger on anything. Why would I suddenly start having anxiety attacks when I am well into my sixth decade? I recall having a panic attack that felt something like this when a snow cave collapsed on me years ago. But that's normal. You're supposed to have a panic attack when you are suddenly in mortal danger. It causes your whole system to kick into survival mode, enabling you to address the immediate threat in powerful ways. It's very short-lived. The adrenaline begins to dissipate as soon as the threat is past and your system begins to return to normal. It is not normal to have high doses of adrenaline rip through you, activating your fight-or-flight response when no obvious threats are presenting themselves. How does your system know when the threat has passed when you have no idea what the threat is? There's no mechanism to tell your high defense system that it's time to stand down. Since my first panic attack a few months ago I have had a few more attacks. Several other times I have been on the verge of having an attack. 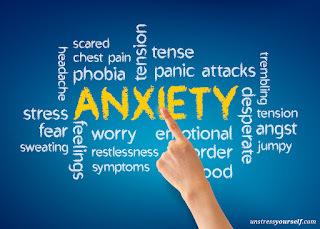 Experiencing anxiety about having anxiety is a vicious and distressing no-win cycle. While researching anxiety and panic attacks, I came across several articles that discuss a link between Multiple Sclerosis and anxiety. This piqued my interest, since I have been grappling with MS for nearly three decades. Since MS can affect any region of the brain, the disease sometimes causes anxiety unrelated to the traditional causes of anxiety, but there's no simple test for this. It is more common for people with MS to experience anxiety as the result of all the burdens and uncertainties that accompany the disease. My wife surmises that I simply have so many demands on me at present that some recently added demand was the straw that broke the camel's back, bringing a nearly unmanageable load to an unmanageable level. The difference between water looking still at 211° but boiling at 212°. It's not the demand itself, but the sheer fact that there are too many demands. The attacks occur when the water hits boiling point. Maybe. I think it probably has more to do with being excessively concerned with physical health, which apparently is a common factor in many anxiety cases. I grew up a bit pudgy. Looking at old photos, it wasn't that bad. (Especially by today's standards.) Still, I felt constantly harangued by peers and family members about being fat. I began fighting the battle of the bulge at age 16. I lost quite a bit of weight during my summer planting pineapples in Hawaii. That battle was fought off and on over the next few years until I got married and ballooned to 70 lbs. in excess of my current weight. It took a year of fanatical health focus to achieve the desired weight loss. But I soon discovered that keeping that weight off required (for me, at least) nearly the same level of fanatical nutrition and exercise. Although I have changed up my regimen a number of times over the past three decades, the one constant has been daily discipline. I now realize that I have developed an internal and public image of myself as a relatively healthy guy. This is at least partially a backlash against all of the teasing and bullying I experienced for being regarded as a fat kid. That's probably not the most psychologically healthy thing. On the other hand, I'm sure that my health focus has been at least part of the reason that my MS symptoms have been quite mild since the initial attacks years ago. But these aren't the only factors in health. Age happens. MS could still hammer me. As my high school class prepares for its 40th reunion, I have become more aware of some of my classmates' conditions. One lady with MS lives in a care facility and is pretty much incapacitated. Another guy who used to do triathlons and now has MS is experiencing increasing physical and cognitive issues. Another classmate who is quite active had a heart valve blow out on Thanksgiving. Our class president, who seems to be in spectacular shape for our age, recently spent four days in the hospital after getting blood clots in his lungs and being unable to breathe. Another thing that has been deeply implanted in my psyche is that both of my paternal grandparents, as well as my father, suffered debilitating strokes that robbed them of critical faculties and eventually took their lives. So heart disease runs in the family. Moreover, we found out after his stroke that Dad had experienced a series of heart attacks for which he had refused to get care. He rode out each of those episodes, but without care, significant portions of his heart died. His weakened heart was very susceptible to stroke-causing blood clots. Consequently, I think it's safe to say that I have become hyper aware of potential health (especially coronary) issues. This is likely the greatest contributing factor to my recent anxiety episodes. I'm not afraid of experiencing death. Between the time when my snow cave collapsed and the time I was rescued, I had an experience that let me know that my soul will continue and will be fine after death. I worry about leaving my family in the lurch, but death does not otherwise trouble me. Apparently, I have an irrational fear of experiencing some kind of major health issue because it would damage the image I have created for myself. So anytime I have the slightest inkling that something like that might be happening, or even that I might be in danger of something like that, I am susceptible to having my hyper awareness kick in and the perceived threat seeming very immediate. Then the brain then wants to shoot me full of adrenaline to get me to address the threat. Years ago a 42-year-old co-worker of mine died of a heart attack because he thought he was just experiencing extreme heartburn. I don't want to be like that guy. Nor do I want to be like my dad, who survived a number of heart attacks, only to later be killed by the effects of failure to treat them. But I also don't want to be so freaked out about the potential of a heart attack (or any other acute illness) that every little thing that might look like a possible symptom becomes an extreme threat. Balance. That's what I want. Proper balance. Apparently that's what I need to achieve to have a chance of preventing future anxiety attacks. Part of this needs to involve achieving a healthier relationship with my self image. I deliberately developed an image of myself as healthy because it motivates the discipline required to maintain that level of health. But when I feel threatened by the possible demise of my Mr. Health and Responsibility image, it tells me that my relationship with this image needs reworking. Mental health issues are as real as physical health issues, and just like physical health problems, they require proper care. Time to get going on that. As a follow up, I have been pretty much free of anxiety attacks for several months now. How? I watched the following Barry McDonagh video, where his doctor provides a very simple approach to stopping anxiety attacks. Most other approaches I have seen involve various types of self distraction which leave the anxiety pattern intact. This doctor's approach, on the other hand, strikes at the anxiety pattern itself. Check it out. It worked for me and still continues to work for me.